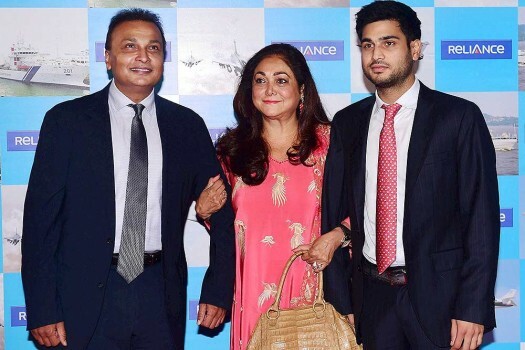 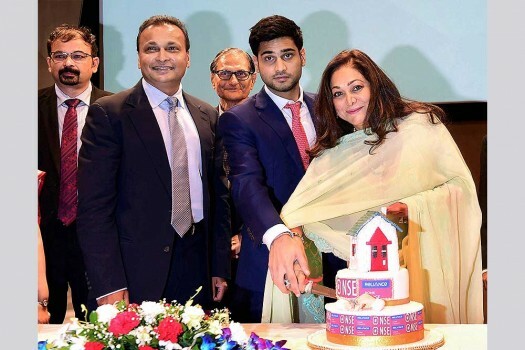 Chairman of Reliance Group Anil Ambani along with wife Tina and son Anmol in Mumbai at Annual General Meeting of Reliance Capital. 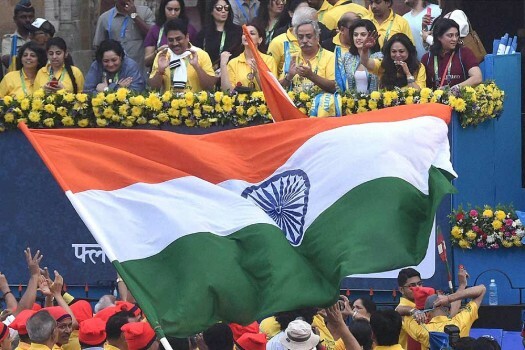 Tina Ambani, Priya Dutt, Taapsee Pannu and Sonali Bendre during Mumbai Marathon, in Mumbai. 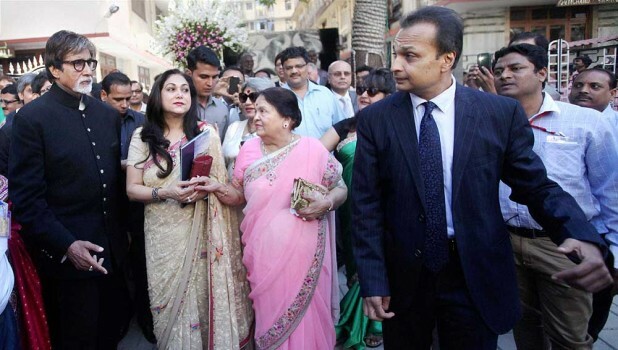 Chairman of Reliance Anil Dhirubhai Ambani Group, Anil Ambani along with his wife Tina Ambani arrive at the annual general meeting of the group of companies in Mumbai. 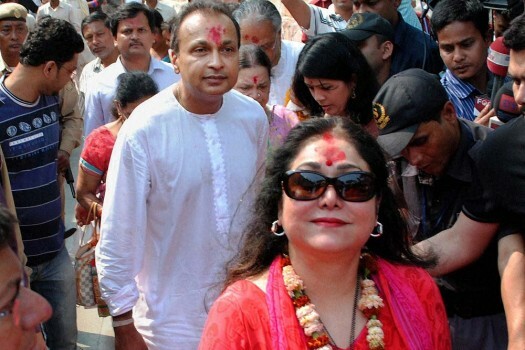 Industrialist Anil Ambani with his wife Tina after offering prayers at Kamakhya Temple, in Guwahati during the first day of the Navaratri. 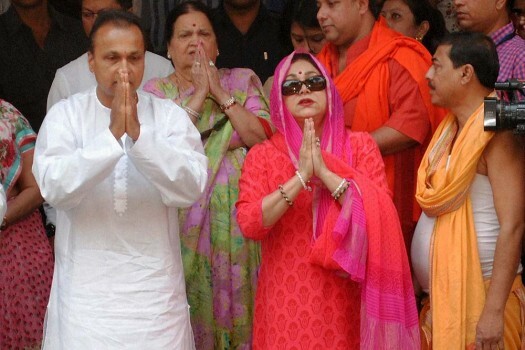 Industrialist Anil Ambani with his mother Kokilaben and wife Tina offering prayers at Kamakhya Temple in Guwahati during the first day of the Navaratri. 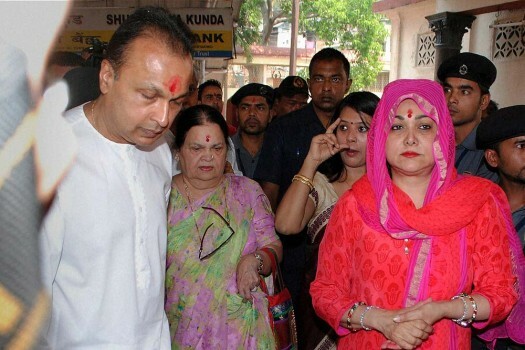 Industrialist Anil Ambani with his mother Kokilaben and wife Tina at Kamakhya Temple in Guwahati during the first day of the Navaratri. 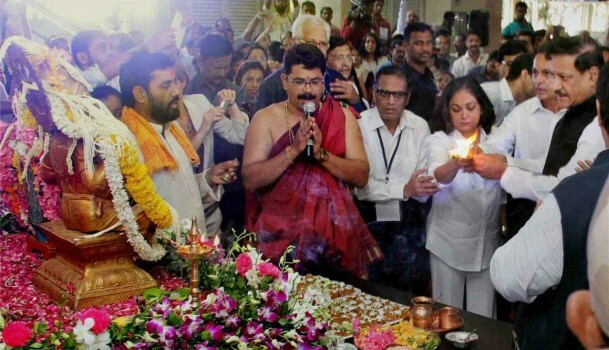 Maharashtra Chief Minister Prithviraj Chavan, Anil Ambani and Teena Ambani perform prayers at the inauguration of Mumbai's first metro rail from Versova station. 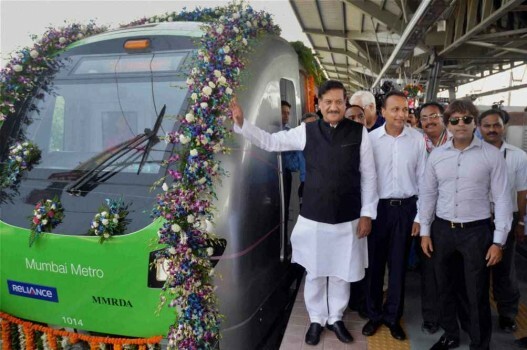 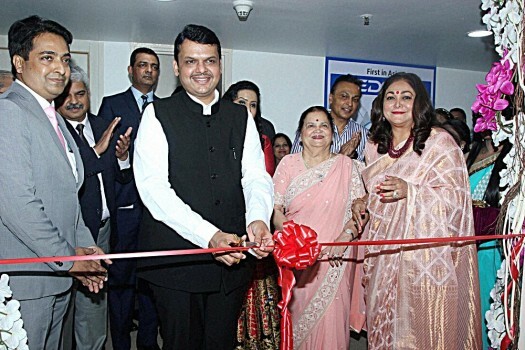 Maharashtra Chief Minister Prithviraj Chavan inaugurates Mumbai's first Metro starting from Versova station towards Ghatkopar station, in the presence of Anil and Tina Ambani. 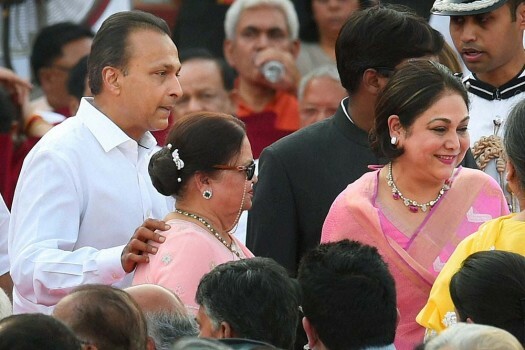 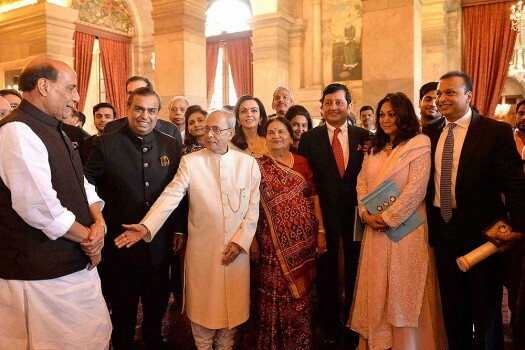 Industrialist Anil Ambani, his mother Kokilaben and wife Tina at the swearing-in ceremony of the NDA government at Rashtrapati Bhawan, in New Delhi. 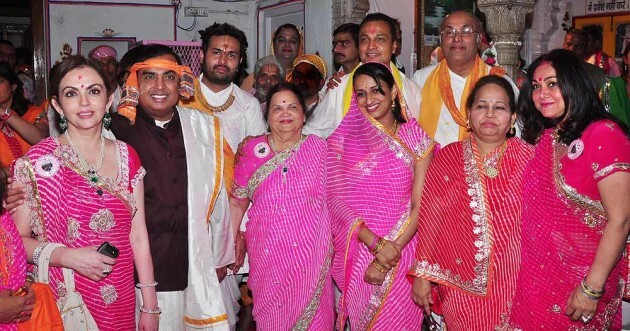 Tina Ambani seeks blessings of Sadhvi Kanakprabha ji in Bikaner. 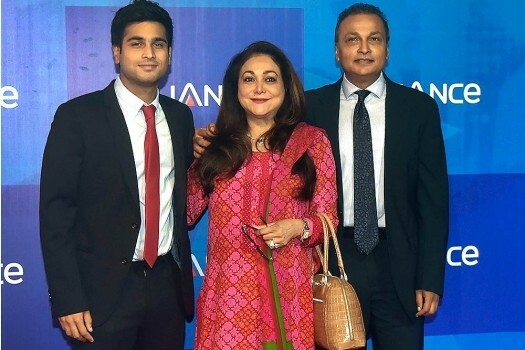 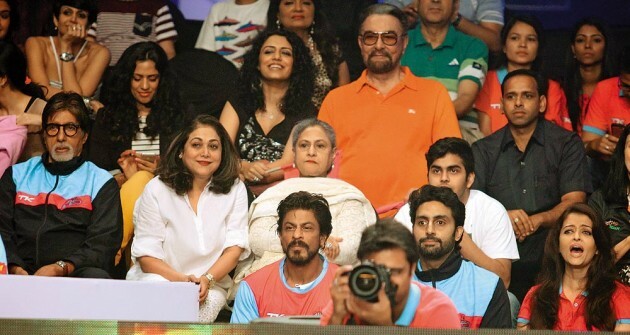 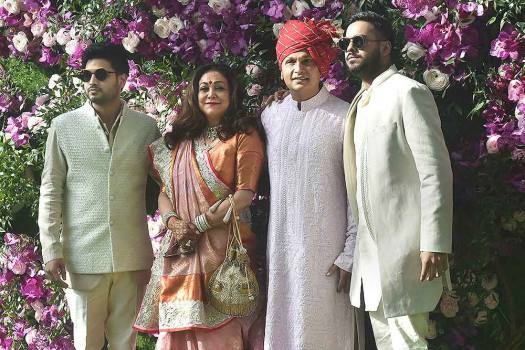 Reliance Capital AGM Tina Ambani, actor Gulshan Grover and Aftab Shivdasani cheer the participatants during the Standard Chartered Mumbai Marathon in Mumbai. 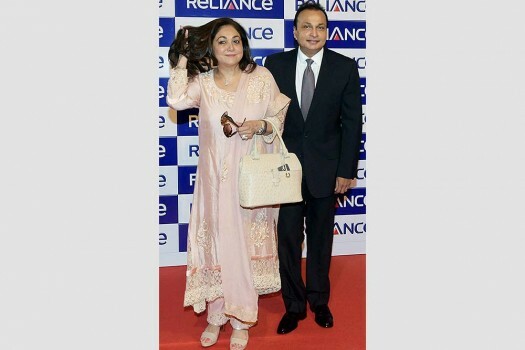 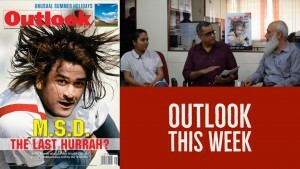 The older Ambani bahu goes through an image makeover. 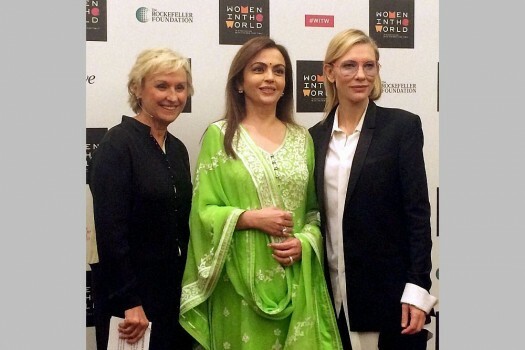 Not only is she looking the part, she is also playing it to the hilt.